Please don't become a statistic! The threat of wildfire is real and although Western Washington forests are green and the landscape is beautiful, it can also be deadly. The potential for extreme fire danger exists when homes are built in and around woodland areas creating what is termed the �wildland-urban interface.� The wildfire season has local firefighters battling fires involving brush, bark, or wildland. With no rain in sight, we are expecting dry conditions to worsen, increasing the risk of more fires here in the Snoqualmie Valley. Tinder-dry conditions increase the likelihood of wildfires. These fires -- with or without wind -- can spread rapidly and cause great devastation in a short period of time. Emergency Managers and Fire Chiefs in King County are working together to get the word out about the dangerous conditions. � Create a 30 foot zone of fire-resistant space around your home to prevent fires from starting near or spreading to your home. Remove dry vegetation, leaves and debris from around your home. � Remove or thin overcrowded or small diameter trees. Prune low hanging branches from the ground to eliminate �ladder fuels." Keep grass and weeds cut low to prevent rapid spread of fire and high flames. � Replace flammable plants like Juniper and Bitterbrush with fire-resistant shrubs like Vine Maple and Lilac. � Store firewood piles and combustible materials at least 20 feet away from your home and outbuildings. � Store gasoline and combustible fuels in an approved safety can away from occupied buildings. � Keep your yard and roof clean, clear pine needles, leaves and debris from your yard, roof and gutters to eliminate ignition sources. Remove limbs that hang over your roof. � Choose fire-resistant roofing materials, like composition shingles, metal or tile roofing. Install spark arrestors on chimneys to prevent sparks from igniting your roof or surrounding vegetation. � Prevent combustible materials and debris from accumulating beneath patio decks or elevated porches. � Campfires should never be left unattended. Put out the fire by soaking the embers with lots of water; stir them, and soak again. Do not bury a fire as the fire will continue to smolder and may ignite nearby roots. � Dispose of charcoal briquettes and fireplace ash only after soaking them with water. � Post easy-to-read address signs and trim vegetation away from driveways so firefighters can find and access your home quickly. Fire District 27 has FIREWISE literature and check-out videos available to residents who would like more information on protecting their home against wildfires or log on to www.firewise.org. Have a Safe July 4th! Holiday Lights - Inspect for frayed wires, bare spots, broken or cracked sockets and excessive wear, and throw out damaged sets. Read the manufacturer�s instructions to learn the number of light strands you can safely connect. Remember to turn off all lights when you go to bed or leave the house. The lights could short out and start a fire. Holiday Decorations - Use only non-flammable or flame-retardant decorations to trim your trees. Decorations in your home should be placed away from any heat sources. Avoid Decorations - that are sharp or breakable, keep decorations with small removable parts out of reach of children to avoid the child from swallowing or inhaling small pieces. Avoid decorations that resemble candy or food that may tempt a child to eat them. Extension Cords - make sure extension cords are properly rated for their intended use, those used outdoors are labeled �for outdoor use.� Extension cords should never be strung together or placed under rugs, carpets or furniture. Inspect extension cords for damage before use. Keep Your Exits Clear - trees and decorations should not block your exit way. In the event of a fire, a blocked exit puts you and your family at risk. Christmas Trees - If your household includes a natural tree during the holidays look for freshness. The tree should be green and the needles should be hard to pull from the branches, and the trunk end of a fresh tree is sticky with resin. Place your tree away from fireplaces, and other heating sources. Be sure to keep the stand filled with water. A dry and neglected tree is a fire hazard. Candle Use - December is the peak time of year for home candle fires. Try flameless candles in your home they look and smell like real candles. If you do burn candles never leave them unattended. Use sturdy holders and keep them away from combustible items. Make sure the candles are out before going to bed. Children seeking to emulate the behaviors of their parents might attempt to light holiday candles. In addition, children are likely to be searching for hidden gifts throughout the home and may encounter items such as lighters and matches. Holiday Cooking - unattended cooking equipment is the leading cause of home cooking fires. Never leave cooking equipment unattended. Turn off burners if you have to leave the room. Create a 3 foot safety zone around stoves and ovens. Fall City Fire District 27 with King County ALERT can keep Fall City Residents and Business Owners informed about Significant Events and EMERGENCY SITUATIONS. ALERT King County is a regional public information and notification service offered by King County Emergency Management to help keep you informed about potential hazards and threats that impact your area. This enhanced service will notify subscribers about potential emergencies in our locality via text, email, and telephone. Registration is free and confidential. Once registered, users can edit their information whenever changes are needed. The system even accepts multiple email accounts, phone numbers, and physical addresses (such as home and work). to sign up for this free service. all use to be safe on the rivers is COMMON SENSE. Rivers are inherently dangerous places to recreate. The water can be high, swift and cold as mountain snowpack melts, making staying in control and hypothermia real risks. Rivers are very dynamic systems that change constantly. Logs and rocks, both visible and hidden, pose navigation hazards. � Water Temperature: Rivers can be extremely cold below the surface. Hypothermia can quickly set in and overwhelm even the strongest of swimmers, causing them to become too weak to escape. � Currents: In as little as six inches, water that may look calm on the surface and slow-moving can have enough force to knock you off your feet and sweep you downstream. Even a slow current can take you where you don't want to go, towards hazards, and leave strong swimmers unable to reach the shore. � Water Hazards: Underwater Debris, trees, branches and logs, and even narrow gaps between rocks under the water can trap you. Stop and think every time you go! Rivers are always changing, do not assume that because it was safe last summer or last week, that it is safe now! Alcohol use is involved in up to 50% of adolescent and adult deaths associated with water recreation. Alcohol impairs judgement, encourages greater risk taking behavior, reduces coordination, impairs reaction time and reduces the effectiveness of CPR, should someone require it. In 2013, there were 103 unintentional drowning deaths in Washington; 13 were of children younger than 18 years old. Children or inexperienced swimmers should always wear a Coast Guard approved lifejacket when around water. It may not seem cool but it can save your life. When they can go in the water, where they can go, who needs to be there and what they should have with them. Just because they�re with a group of friends does not mean they can rescue each other if someone gets into trouble. Young children need to be watched at all times. It can take only 20 to 60 seconds for a child to submerge without warning. If you�re not a good swimmer or just learning to swim stay out of currents and do not go in water that�s over your head. Knowing how to swim is important for anyone who spends time near or on the water. Make sure your children learn to swim, and upgrade their swimming skills each year. river use extreme caution and wear a life jacket! into King County Fire District 10. As part of the election process, the District is looking for individuals interested in forming committees to write the statements for and against the ballot measure. These statements appear in the voter pamphlets, along with a description of the ballot measure. Participants must be registered voters, living within Fire District 27. Submit letters of interest to the District office by 5 p.m. Wednesday, December 5, 2018. Letters should be addressed to the Board of Commissioners at King County Fire District 27, PO Box 609, Fall City, WA 98024, or sent by email to king27@king27fire.com. For more information call (425)222-5841.
at home. Today�s home fires burn faster than ever. In a typical home fire, you may have as little as one to two minutes to escape safely from the time the SMOKE ALARM sounds. � Smoke alarms detect and alert people to a fire in the early stages. Smoke alarms can mean the difference between life and death in a fire. 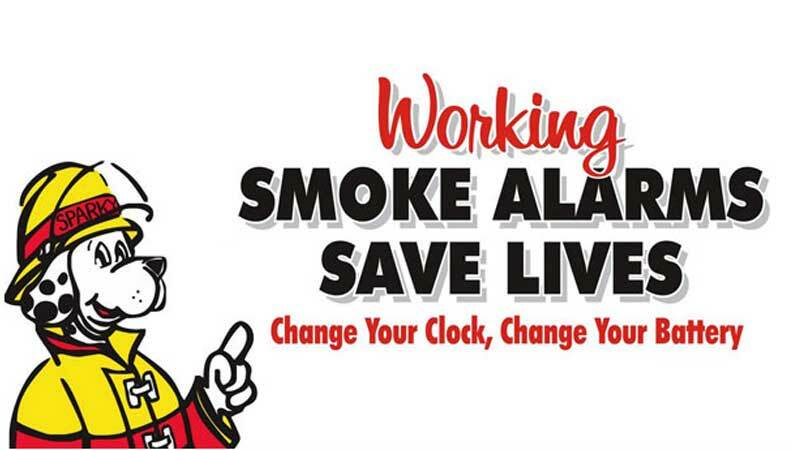 � Working smoke alarms cut the risk of dying in a home fire in half. � Install smoke alarms in every sleeping room, outside each separate sleeping area, and on every level of the home, including the basement. � Test smoke alarms at least once a month using the test button. � Make sure everyone in the home understands the sound of the smoke alarm and knows how to respond. � Home fire escape planning and drills are an essential part of fire safety. A home fire escape plan needs to be developed and practiced before a fire strikes. fires in the kitchen is unattended cooking. � Stay in the kitchen when you are frying, boiling, grilling, or broiling food. � If you are simmering, baking, or roasting food, check it regularly and stay in the home. � Keep anything that can catch fire away from your stovetop. � Heating equipment is one of the leading causes of home fires during the winter months. � Space heaters are the type of equipment most often involved in home heating equipment fires. � All heaters need space. Keep anything that can burn at least 3 feet (1 meter) away from heating equipment. to withdraw the ballot measure from the February 12, 2019, Special Election. The ballot measure request voter approval to merge King County Fire District 27 (Fall City) into King County Fire District 10. The Commissioners were in agreement that it was important to take additional time to provide accurate and up to date information to the public about the ballot measure proposal. The Board of Commissioners will consider placing the proposed measure on the ballot for the April 23, 2019 Special Election. for Fall and Injury Prevention for Senior Citizens. Many falls can be prevented. By making some changes, you can lower your chances of falling. 1) Begin a regular exercise program. 2) Have your health car provider review your medicines. 3) Have your vision checked. 4) Make your home safer. Is Your Home Protected from Wildfire Danger? Create a 30 foot zone of fire-resistant space around your home to prevent fires from starting near or spreading to your home. Remove dry vegetation, leaves and debris from around your home. Remove or thin overcrowded or small diameter trees. Prune low hanging branches from the ground to eliminate �ladder fuels." Keep grass and weeds cut low to prevent rapid spread of fire and high flames. Replace flammable plants like Juniper and Bitterbrush with fire-resistant shrubs like Vine Maple and Lilac. Store firewood piles and combustible materials at least 20 feet away from your home and outbuildings. Store gasoline and combustible fuels in an approved safety can away from occupied buildings. Keep your yard and roof clean, clear pine needles, leaves and debris from your yard, roof and gutters to eliminate ignition sources. Remove limbs that hang over your roof. Choose fire-resistant roofing materials, like composition shingles, metal or tile roofing. Install spark arrestors on chimneys to prevent sparks from igniting your roof or surrounding vegetation. Prevent combustible materials and debris from accumulating beneath patio decks or elevated porches. Campfires should never be left unattended. Put out the fire by soaking the embers with lots of water; stir them, and soak again. Do not bury a fire as the fire will continue to smolder and may ignite nearby roots. Dispose of charcoal briquettes and fireplace ash only after soaking them with water. Post easy-to-read address signs and trim vegetation away from driveways so firefighters can find and access your home quickly. King County Fire District 27 is located in Fall City, Washington, nestled in the Cascade foothills 24 miles east of Seattle. The Fire District serves a population of approximately 6,340 people in and surrounding the unincorporated rural town of Fall City. The Fire District service area is 22 square miles. The area offers many recreational activities from river rafting, hiking, horseback riding, golfing and much more. Two river systems, the Snoqualmie and the Raging rivers cross through the District. Several lakes dot the landscape and the Snoqualmie Falls is a popular attraction that borders the Fire District. Fall City is comprised mostly of residential properties, agricultural farming and service business operations. Fire District 27 recommends being prepared for up to 7 days! It is not uncommon during a storm or natural disaster to be without power in the rural areas for several days or even more than a week. * Identify what types of disasters are most likely to happen; earthquakes, flooding, winter storms. * Practice emergency drills and teach children how and when to call 911. * Ask what the emergency plan is at your children's school. * Establish a meeting place outside your neighborhood in the event that you cannot reach your home. * Identify an out-of state contact; it will be easier to call long distance if local communications are overwhelmed. * Keep your disaster supply kits up to date. Have kits for your vehicle, work and school. * Have a battery operated radio to receive emergency notifications and up-to date information. * Be sure to keep at least a half-tank of gas in your vehicle at all times and have a vehicle cell phone charger. * Teach family members when, where and how to turn off your home's water, gas and electric utilities. * Know what you should do to help family, friends, neighbors and elderly persons with special needs. * Have a plan for pets. The District's three-year audit was conducted in October of 2018. The following reports were published at the State Auditors' Office on November 5, 2018. The District's 2018 assessed valuation is $1,313,244,287 against which taxes are levied for the year 2019 to support operations. The District's regular tax levy for 2019 is $1,584,399. The regular tax levy rate is $1.20 per $1,000 of assessed valuation. The District's Maintenance and Operations Levy was approved by the voters in November, 2016 and is for years 2017, 2018, 2019 and 2020. The Maintenance and Operations levy for 2019 is $475,000. The M&O tax levy rate is $0.36 per $1,000 of assessed valuation. The District refinanced the 2001 GO Bonds and achieved an annual reduction in the bond payments of approximately $22,363 per year for a total savings of $201,266. The GO Bond Levy for 2019 is $161,750. The GO Bond levy rate is $0.06 per $1,000 of assessed valuation. Are you looking to give to the community, learn emergency and firefighting skills, want to pursue a career path in the fire service, becoming a volunteer may be for you. For more information on the Fire District's ►Volunteer Firefighter Program. The District is a combination department providing 24 hour service with eleven Career Firefighter-EMT's, twelve Volunteer Firefighter-EMT's, the Fire Chief and Administrative Assistant. The District provides a variety of services including fire suppression, emergency medical service, technical and water rescue and public safety education. The regionalized King County Medic One System provides advanced life services to the District. The Fire District was recently evaluated in January, 2018 by the Washington Surveying and Rating Bureau (WSRB) as part of their Community Update Program. Residents and Property Owners will be pleased to know that the Fire District has retained its class 4 rating. This rating applies to buildings that are within 1,000 feet of a hydrant with an adequate water supply, and the building is located within five miles from the fire station. Fire Protection agencies throughout the state are periodically reviewed by the WSRB to determine the level of fire protection they offer to their communities. The WSRB evaluates departments in a number of categories such as water supply (hydrants), equipment, facilities, staffing, response times, training, fire prevention, code enforcement and communications. Protection classes range from 1-10, a 1 being the highest and a 10 being the lowest protection rating. This rating may have an impact on insurance premiums. The WSRB recommends that residents and property and business owners of Fire District 27 contact their insurance carriers to check for possible savings.